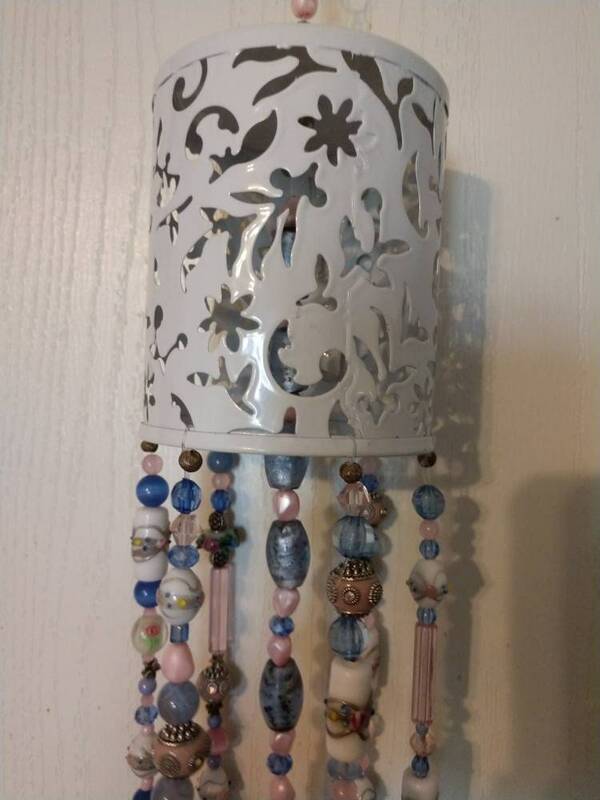 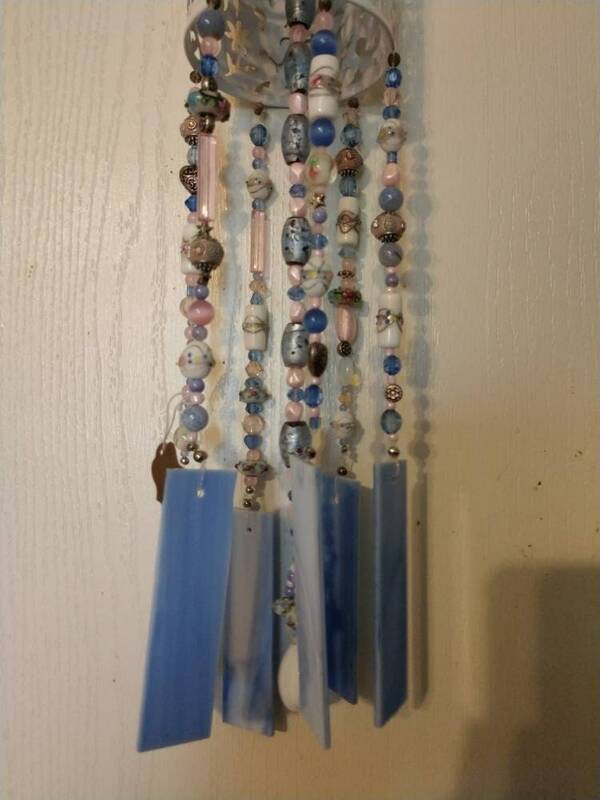 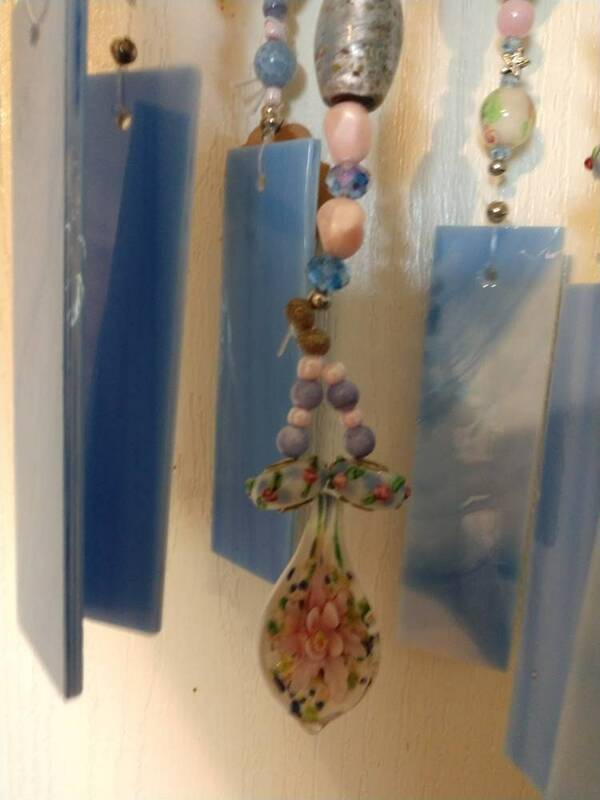 This beautiful little wind chime is made with beautiful baby blue Spectrum Glass and a variety of vintage beads. 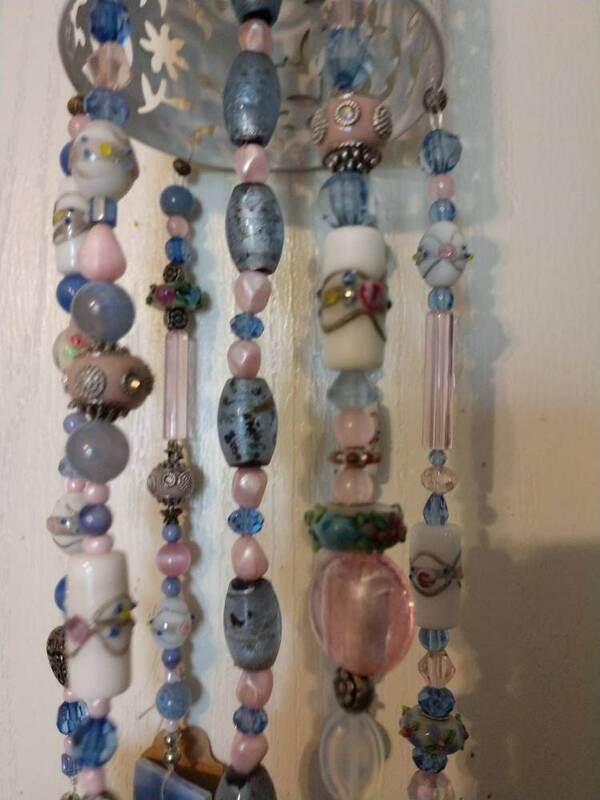 Many of the beads are handmade lampwork beads. 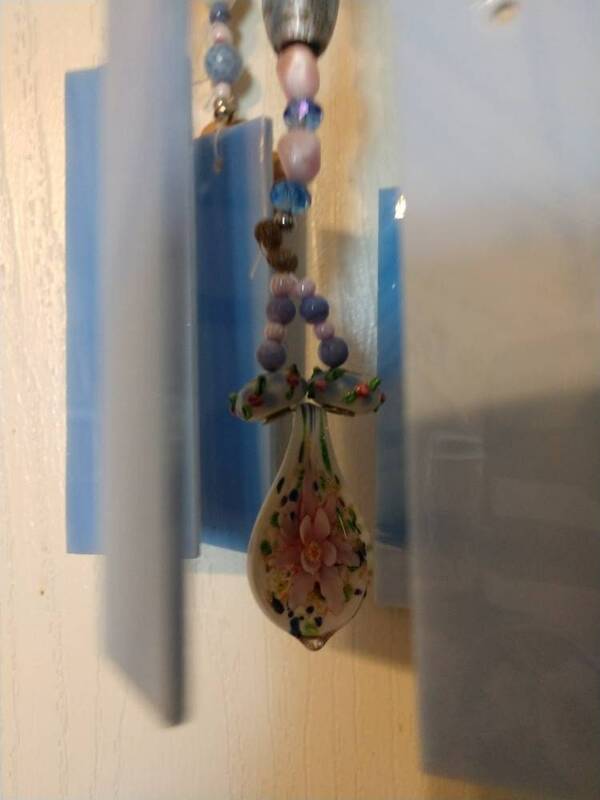 This is an exquisite one-of-a-kind piece with a beautiful floral lamp work bead as the focal centerpiece.